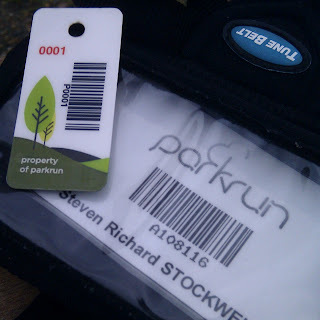 This was the last parkrunday of 2012, which meant that it was my last chance to attempt to get back into the sub-20 parkrun club before the end of the year. 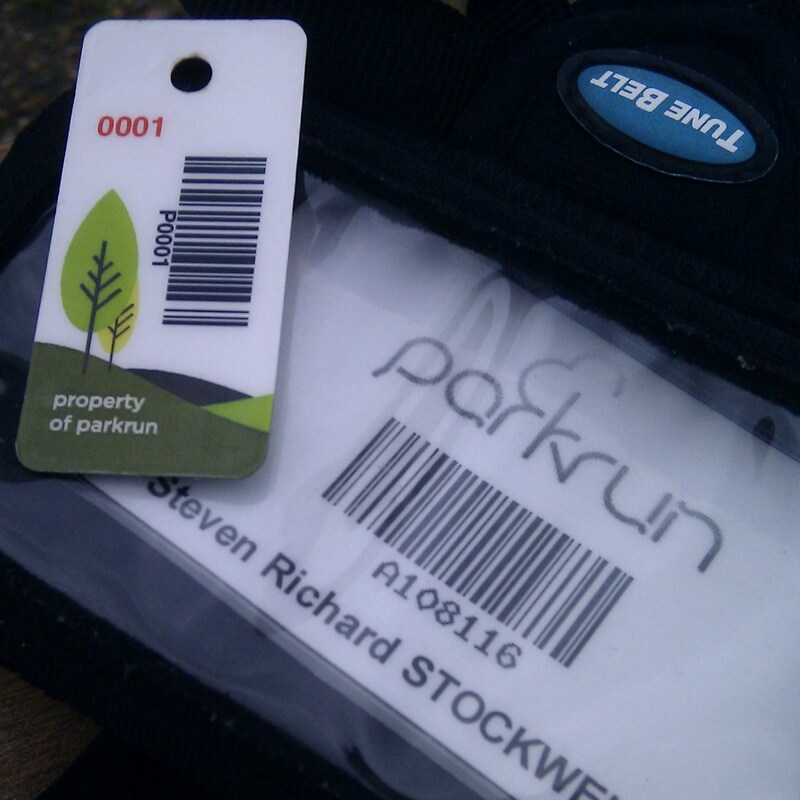 (I have run a sub-20 5k this year but it wasn't a parkrun). So after way too little sleep I dragged myself out of bed and twenty minutes later entered Westminster tube station to head into East London, this time I took the District line to Barking. Upon exiting the station, I headed off in search of Barking park. It's not hard to find and within 5 minutes I was strolling along its paths wondering how I would pass the next 50 minutes (it was 8.10am). The park is a tad deceiving. From the road all you can see are the open grass areas and a few buildings in the distance, but once you get into the heart of the park you find tree lined meandering paths and a boating lake. Apparently there is also a light railway in the park but I didn't spot it. 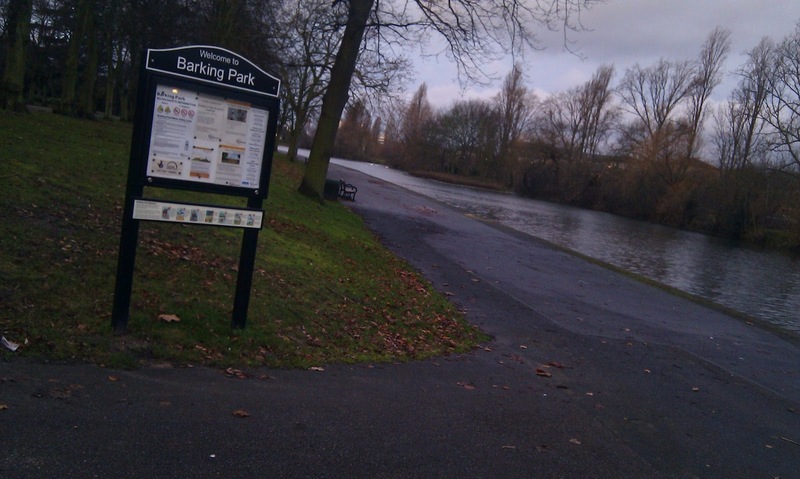 Anyway, shortly after arriving in the park, I bumped into a lady called Vicky, who was putting out the course signs. We walked part of the course and talked about parkrun (of course). At 8.45am I headed off to get changed before joining the rest of the runners at the registration area. 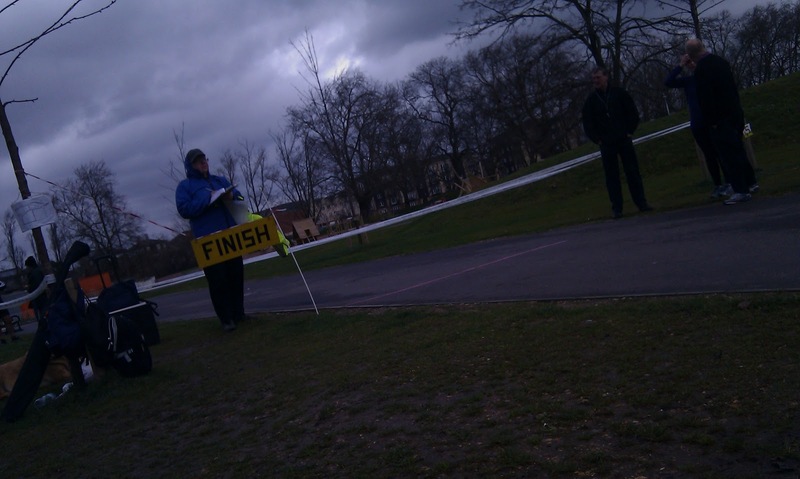 At 9am we were lead to the start line and then sent off to get our parkrun fixes for the day. The recent rain had fortunately decided to take a break, so it was dry. However, this was replaced with strong winds (not ideal considering my goal for the day). The route takes you towards some allotments. You then swing a left and run almost the entire length of the boating lake before a few twists and turns in the traditional Victorian section of the park. Lastly you go around the edge of the playing fields and back towards the registration area. As it is a two lap course, you then do it all over again. The course is as flat as they come and all on tarmac. 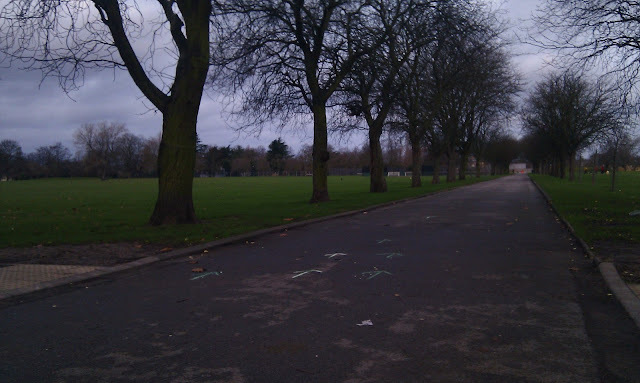 In addition to the normal parkrun course signage, the organisers also draw arrows and other helpful things such as 'HW' at the half-way point in chalk on the ground. Back to my goal of the day - sadly, I didn't manage to break 20 minutes (20:03). However, I was the first finisher, which was very nice indeed. I spent a bit of time at the finish area chatting while the rest of the runners came in and before I knew it it was time to leave. I was almost tempted to go along to the post-run coffee and results, but I needed to get back home to get ready to go out with the ladies. 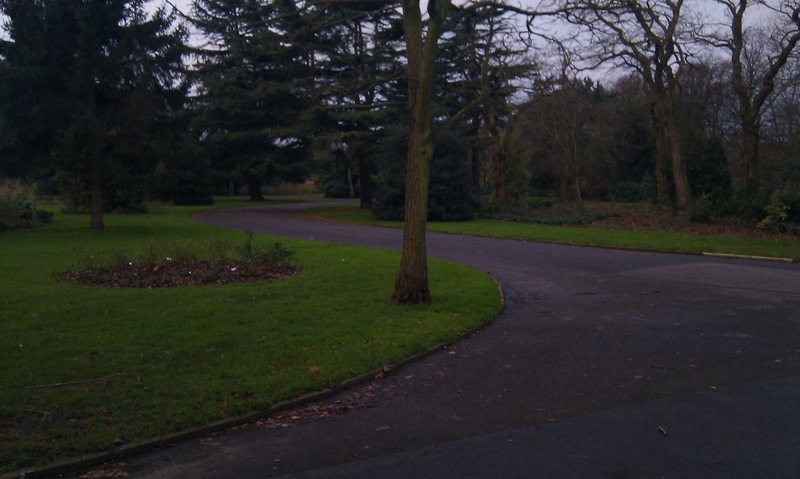 In summary, this is a very friendly parkrun with a great community and brilliant volunteers. The course was a pleasure to run and I would definitely like to return in the future.